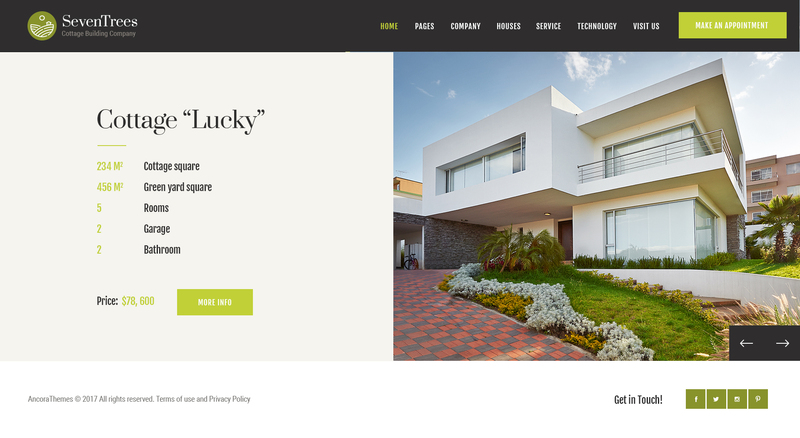 SevenTrees – stylish contemporary Real Estate WordPress Theme. It is a splendid & modern solution for a newly built apartment complex, office center or rent house. You can use the theme to sell single property object or modify it as a corporate page for real estate agency bureau or firm. Also It is great for brokerage agent services, rental business, residence realtor, residential & commercial developers, building company, real estate amenities, construction company, shop, store. We are sure, the theme will go beyond the scopes of your initial expectations and provide more features than you could imagine. 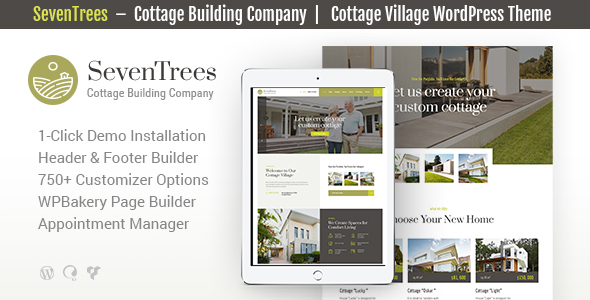 SevenTrees is made compatible with WPBakery Page Builder (aka Visual Composer, which we think is better than Elementor). The theme also works with MailChimp for WP, Contact Form 7, and Essential Grid. As a free addition, we have integrated the theme with the ThemeREX Addons plugin. Right after you activate plugins, you will noticeably expand the theme options, e.g you will add 12 new widgets, CV Card functionality, image optimization option and much more! The theme features pop-up menu and side-scroller that is very useful when switching between page’s sections.